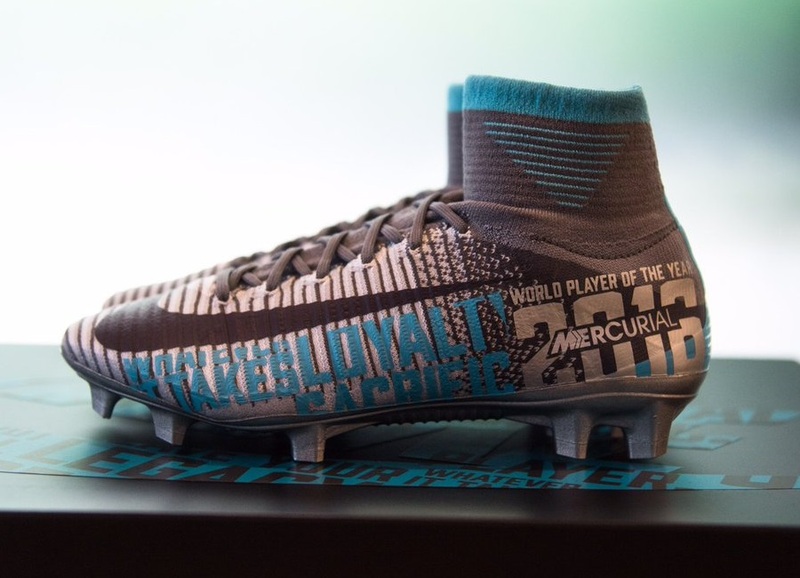 Fresh off being named the 2016 women’s world player of the year, Nike presented Carli Lloyd with a pretty nifty pair of Custom Mercurial Superfly boots. 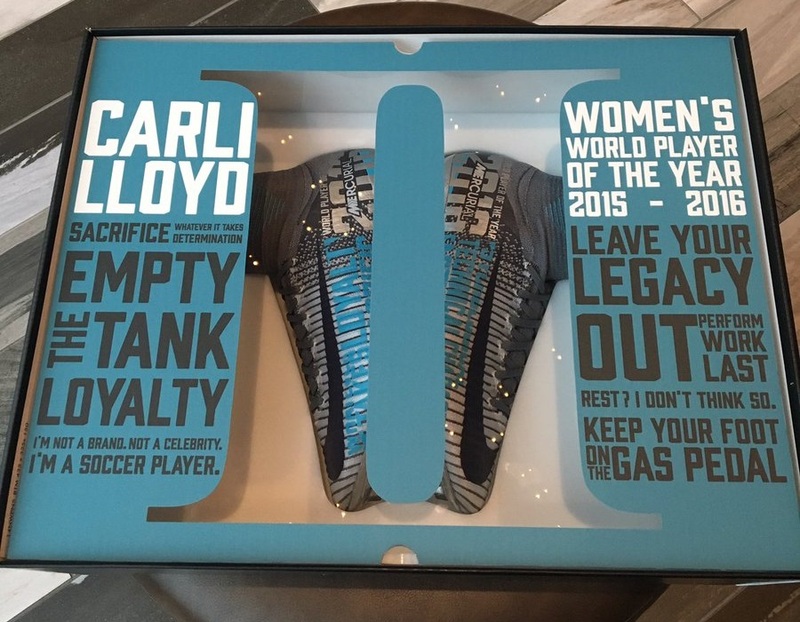 Lloyd, who has a nine-year legacy as a Nike athlete, was given freedom of expression in creating the boots, adding text across the upper that represents her as a player. Honestly, these boots look pretty fantastic! The color combo of Blue Lagoon, Wolf Grey and Silver comes together really well. Who’d be interested in a custom pair of boots like these? Although not available to retail, check the latest Mercurial Superfly boot releases.